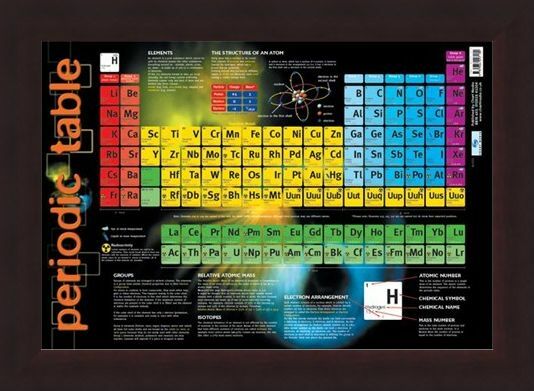 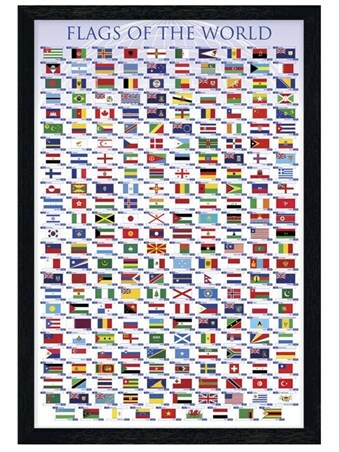 The Periodic Table Mini Poster: This glossy posters contains all you need to know about the periodic table, its elements, atoms and isotopes. The complete periodic table is colour coded and clearly labelled for easy reference and each element displays its atomic number, chemical symbol, chemical name and mass number. 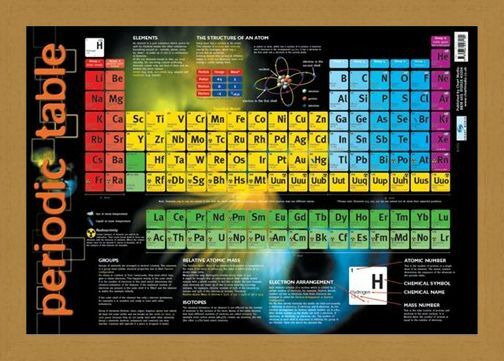 There is a section on the structure of an atom and a diagram explaining a carbon atom. There is also a key to the periodic table and its symbols, a description of electron arrangement, isotopes and relative atomic mass. 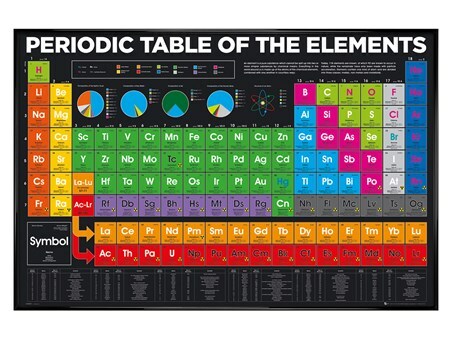 Science is one of the core subjects taught from a young age and this poster is all you need if you're learning about the periodic table. 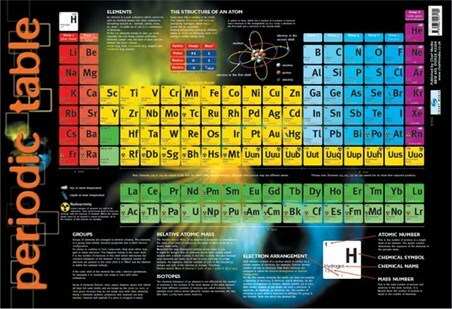 An easy reference guide and an in-depth look at the elements of life. 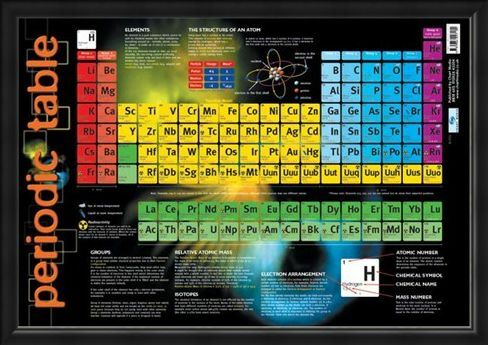 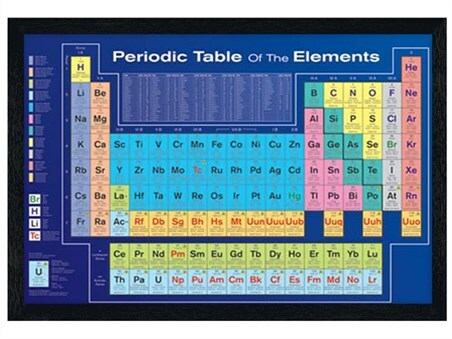 High quality, framed Periodic Table, Educational Chart mini poster with a bespoke frame by our custom framing service.